Located south of Sarasota you will find the charming and relaxing island of Casey Key. Here you will find some of the most amazing waterfront homes in the area. The homes for sale in Casey Key not only offer owners easy access to gorgeous white sandy beaches but also bay front boating amenities as well. The island is very narrow and many of the properties are estates that run from the bay to the beach providing the best of both worlds. If you like Casey Key take a look at Lido Key, Siesta Key, Bird Key and Longboat Key as well. Listed below are homes and condos for sale in Casey Key. These Casey Key real estate listings are updated daily from the MFRMLS. Casey Key is an isolated and hidden gem, a narrow island on the Gulf of Mexico, just off the quiet mainland town of Nokomis. Winter home to the likes of Stephan King, Casey Key is an isolated and very exclusive getaway destination. For Casey Key visitors and locals alike, frequent trips to the Casey Key Fish House are in order. Conjuring up the classical images of Old Florida, this timeless restaurant serves delectable, fresh caught seafood alongside exotic cocktails that you can enjoy at the waterside tiki bar. As you would expect, Casey Key is one of the finest fishing locations on the Gulf Coast, whether you fish from the surf or from a boat. The crystalline, white sand of the beaches gives Casey Key a sense of true tropical paradise, a description that fits it well. Primarily residential, you won’t find much in the way of shopping on Casey Key, but you will find two beautiful public beaches where you can enjoy a day of fun and lots of sun. The narrow spit of land that makes up Casey Key is a little slice of heaven, where every property seems more enviable than the next. Fewer than 400 homes grace Casey Key, making this a tranquil and peaceful place to call home, while the views may well make you feel like you are living in a movie. Potential home buyers should expect to pay from $400 to $1,000 per square foot for homes on Casey Key. Residences are as grand as you would expect, often with private beaches and swimming pools (or room to build one). While there are some smaller homes, it is common to find homes of 5,000 square feet or larger. Some lucky residents even have the gulf on one end of their property and the bay on the other. 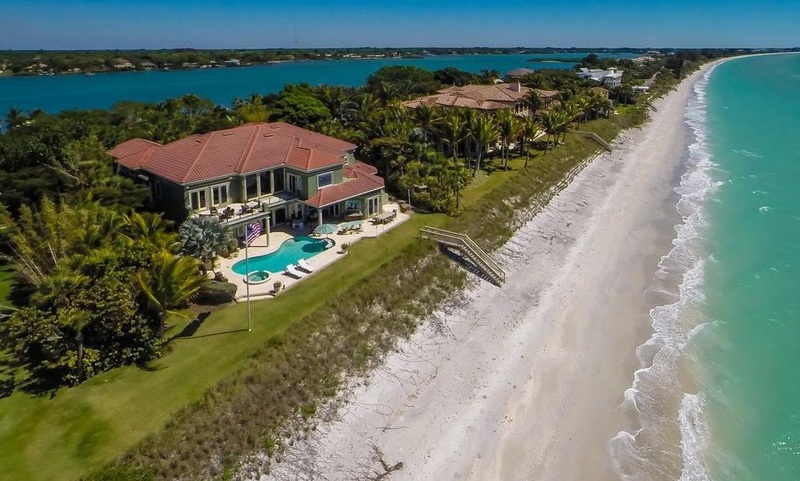 The homes on Casey Key come with amenities sure to satisfy even the most discerning buyer. Storage for boats and jet skis, facilities and gear for fishing, terraces, fireplaces, gourmet kitchens, and more custom features than you can imagine abound in Casey Key residences. It’s just a matter of choosing the one that’s perfect for you. Moving to Casey Key, Florida? We’re excited to introduce you to the wonders of living in the Sarasota area. If you’ve never lived on an island before, we can help you discover all the ins and outs of life on Casey Key. We make things so easy for home buyers that we think you’ll never want to leave! DWELL Real Estate markets the most exclusive homes in the Casey Key area. Please contact us at 941.822.0708 to begin your Casey Key search.